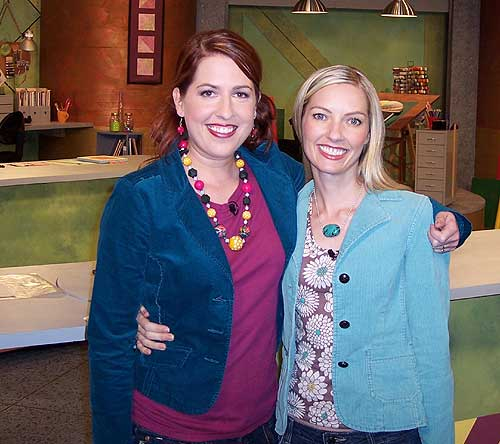 Claudine Hellmuth + How You Can Appear on TV! Orlando based collage artist and instructor Claudine Hellmuth, is catching alot of attention lately, including an upcoming appearance on the new DIY network show, Get Crafty. In addition to her creations, Claudia also takes commissions, which caught my eye because you can send her photos of your family or friends and she'll transform them into works of art for that personal touch of whimsy for your space. 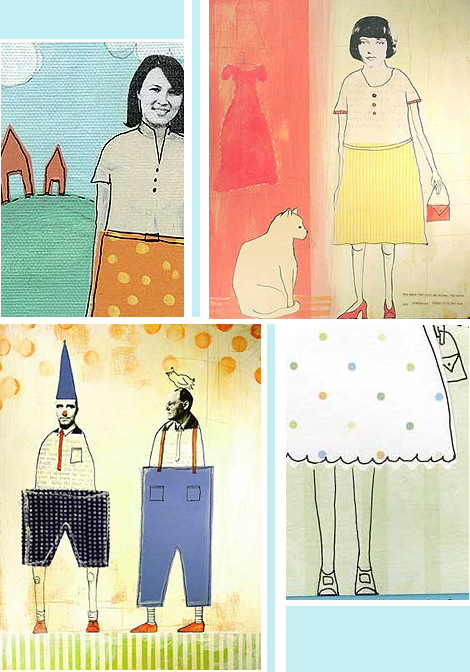 If you're a lover of collage art, Claudine also offers classes across the U.S. where you can learn directly from her and next year, she'll be teaching in Tuscany for a one week intensive in Cortona where you can absorb the basics like color and composition as well as the meaty details like texture and surface enhancement. When you read about this Tuscan adventure, I can almost guarantee you'll want to go. What an artistic journey! OH...Just in! I was contacted recently with a little information about how YOU can appear on a new craft show appearing on the DIY Network titled "Craft Lab." Screen Door Entertainment is looking for young, hip, creative crafters to be a guest on the show. If you'd like to apply, please contact Monica Lee at mlee[at]sdetv[dot]com and let her know that you were referred by Holly Becker from decor8. I'd love to see some of my crafty readers on the show, you're all oozing with so much talent, so please please please apply. You have nothing to lose so go for it. on the set before taping. This could be YOU!